Repentance, judgment and wrath seem far removed from a baby, a stable and a loving mother and father. If the world, and some misguided Christians had their way, we would do away with any call for repentance, any discussion of sin, any threat of judgment. Why can’t we just focus on the babe in the manger who loves us all unconditionally? Although “unconditional love” has become the rallying cry of liberal, so-called “progressive” Christianity, the Scriptures contain conditions, or at least expectations. There is a call to repent, to receive forgiveness. And yes, there is a call to “prepare the way of the Lord,” by making His paths straight. This call to prepare comes from John the Baptizer, and he’s calling us to repent. 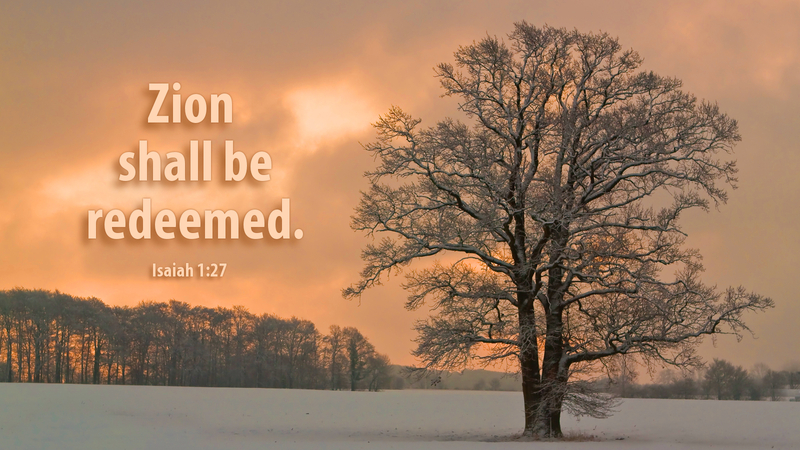 Whether one considers repentance a condition or an expectation, it is certainly a form of preparation for the Lord who came, who comes, and who is coming. Our reading from Isaiah is a warning of judgment and wrath to come. The prophet, speaking for the Lord, pulls no punches and makes no attempt to soft-pedal the message. In God’s kingdom there will be justice. The desire, however, is for repentance. The Lord’s desire is for Zion to return to Him and be saved. Those who refuse—those who continue to rebel against God, to revel in their sin—shall be destroyed, finally. Those who repent and return will be saved, by God’s grace, as a gift. Prayer: O God, day by day, turn us toward you. By your grace, save us from our sin, through Jesus Christ our Savior. Amen. Advent Action: Think of one sin you struggle with. Pray for God’s forgiveness, that He will free you from this sin.